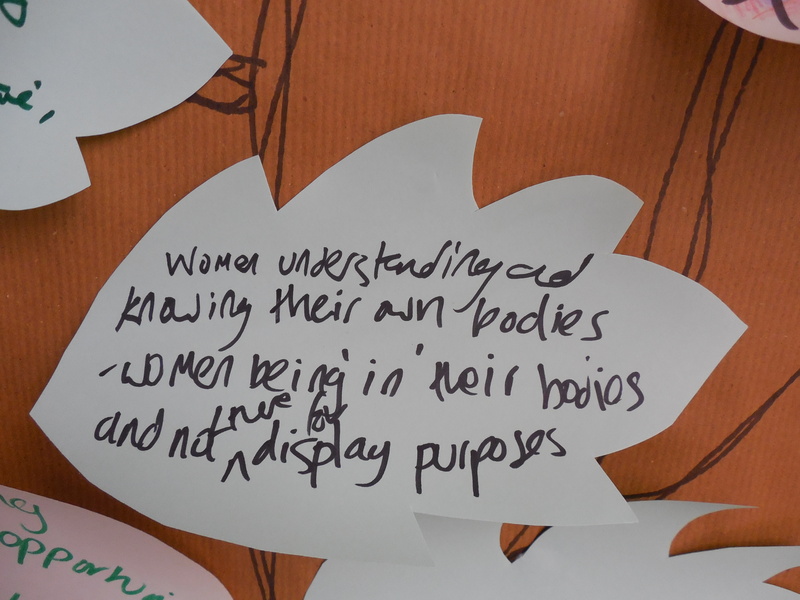 You can bring our inspiring ‘Living Library’ of human ‘books’ to your school, college, workplace or other venue in Derbyshire. 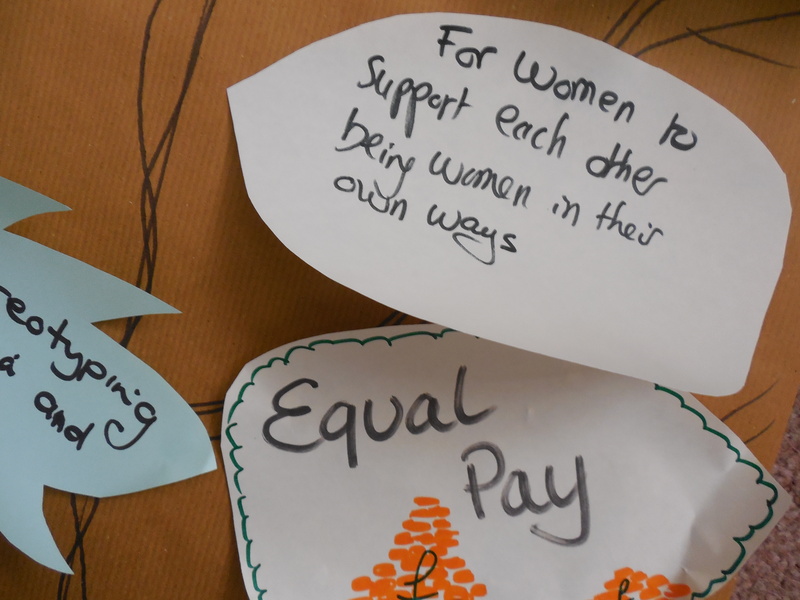 Our volunteer ‘books’ are inspiring local women from a variety of career paths and diverse backgrounds with an interesting story to tell. 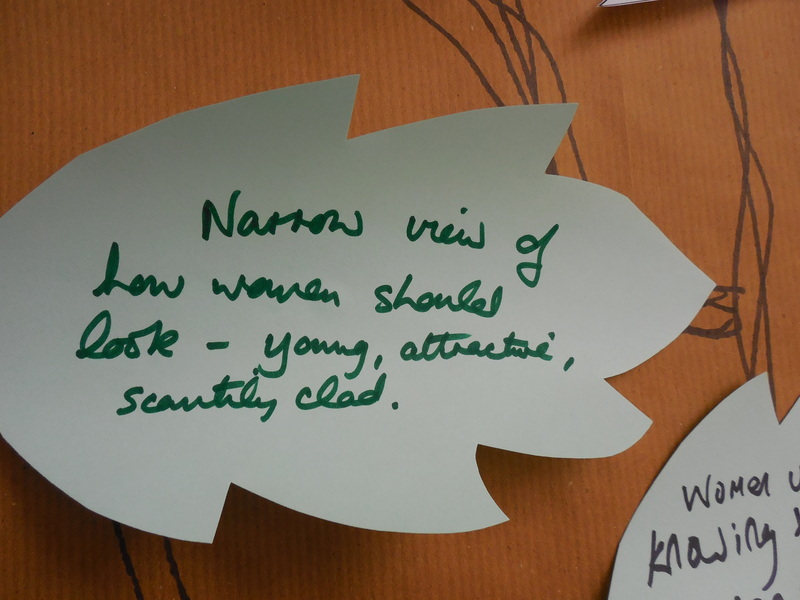 Last year pupils at local schools described the Living Library as ‘inspiring’. 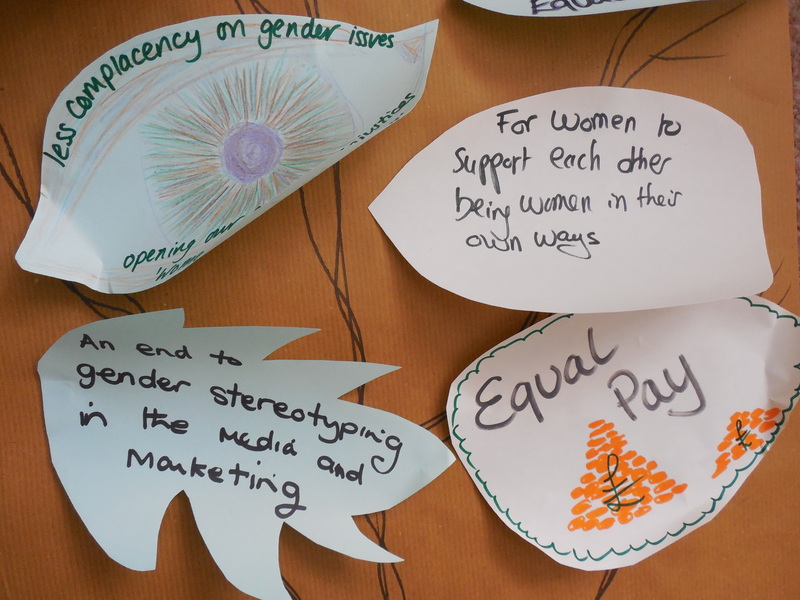 Results included clearer career goals, political awareness, volunteering, aspirations, meeting role models and more knowledge of women’s rights campaigns. 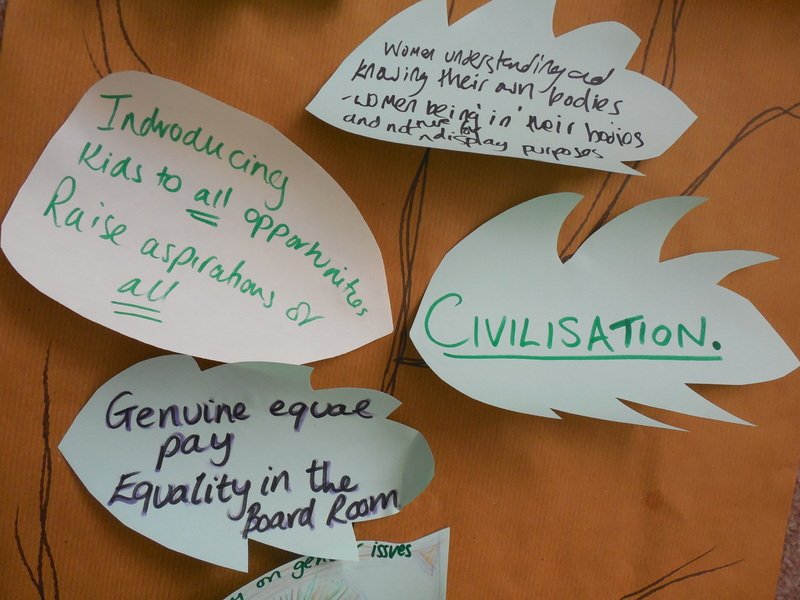 How it works: You can book a half-day Living Library event for a donation of just £100 which helps to fund our charitable work. 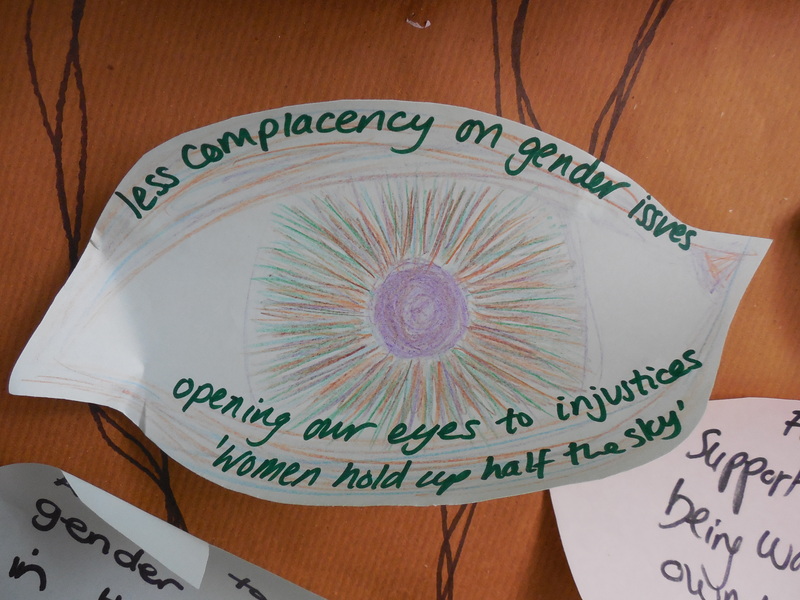 We’ll bring the books which your pupils or members can borrow to hear their stories. 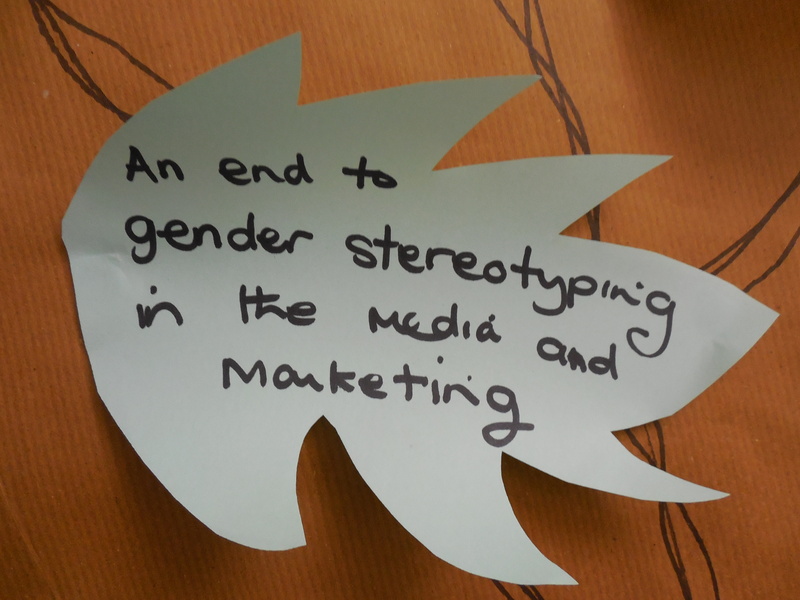 Women’s Day Survey: we need your input! 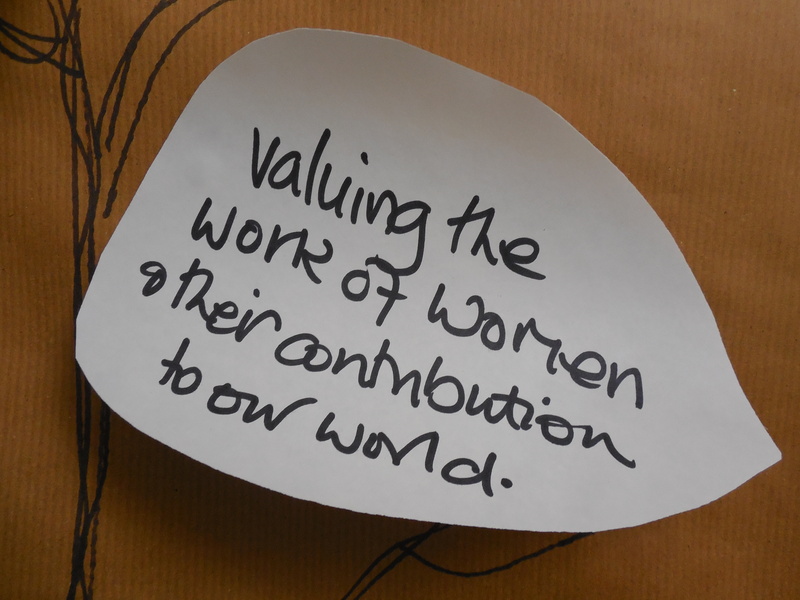 Each year our team of volunteers plans an event in Derby to celebrate International Women’s Day (IWD). 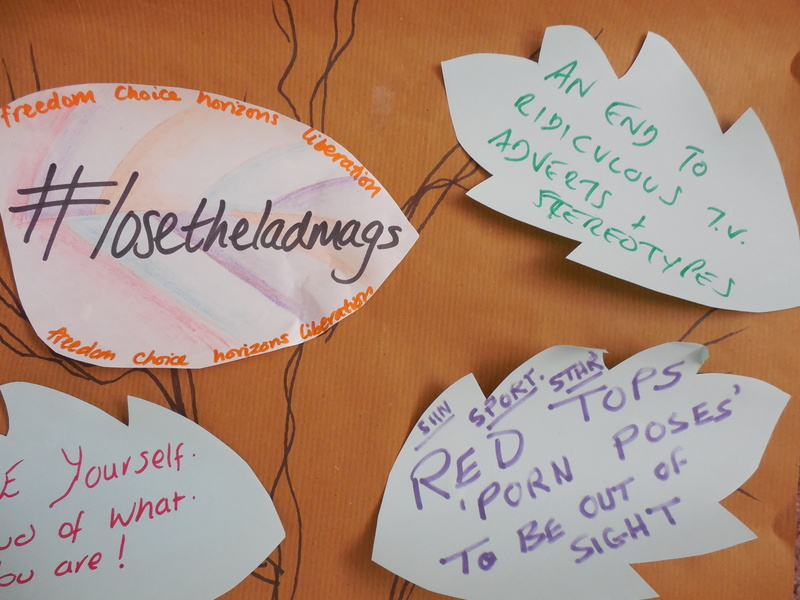 We want to know what you want at the next event on Saturday 8th March 2014. 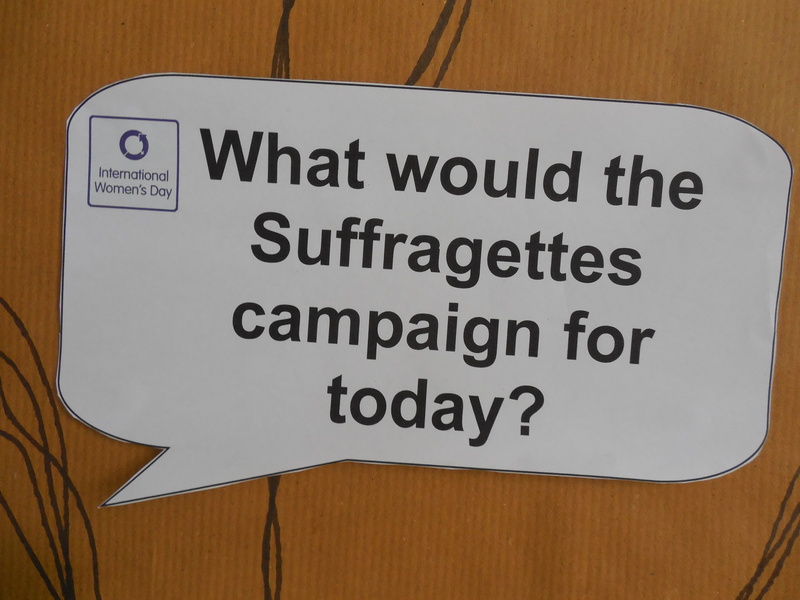 The survey is open until the end of October 2013 and is aimed at anyone in the Derbyshire area, all genders, with an interest in IWD. Thank you for sending in your ideas! 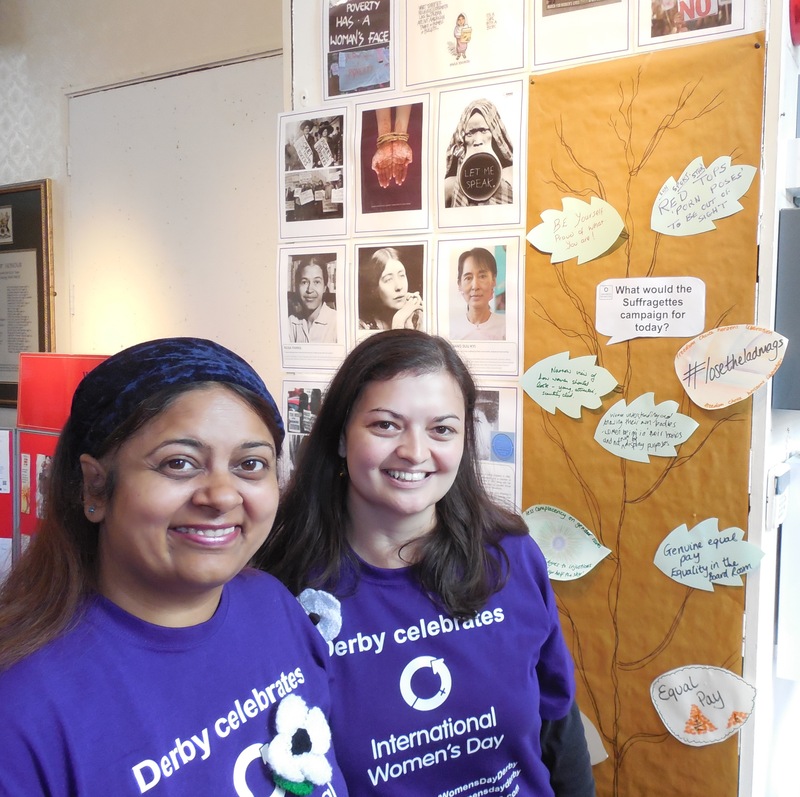 The Int’l Women’s Day Derby team enjoyed engaging the crowds at the festival of peace and justice organised by Derby People’s History Group. 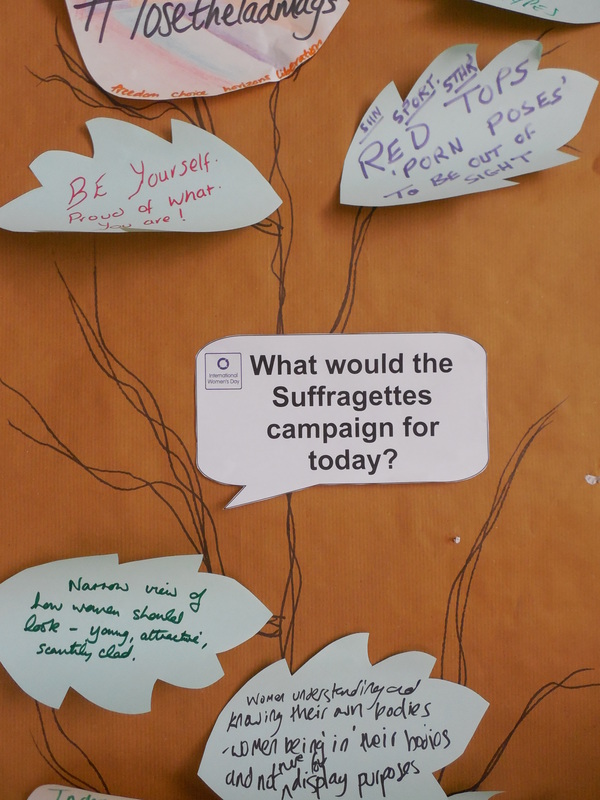 People added leaves to our tree asking ‘what would the suffragettes campaign about today?’ Here are a few piccies.